This case is designed to hold a 27” iMac mounted on a position control board. 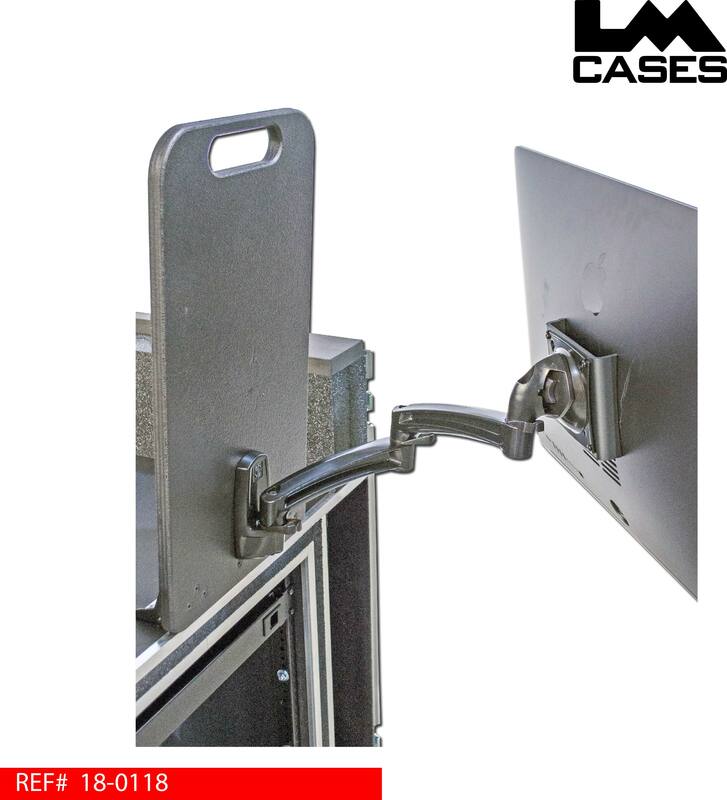 The board is mounted to position control hinged that allow the computer to tilt and be held in position similar to a laptop screen. 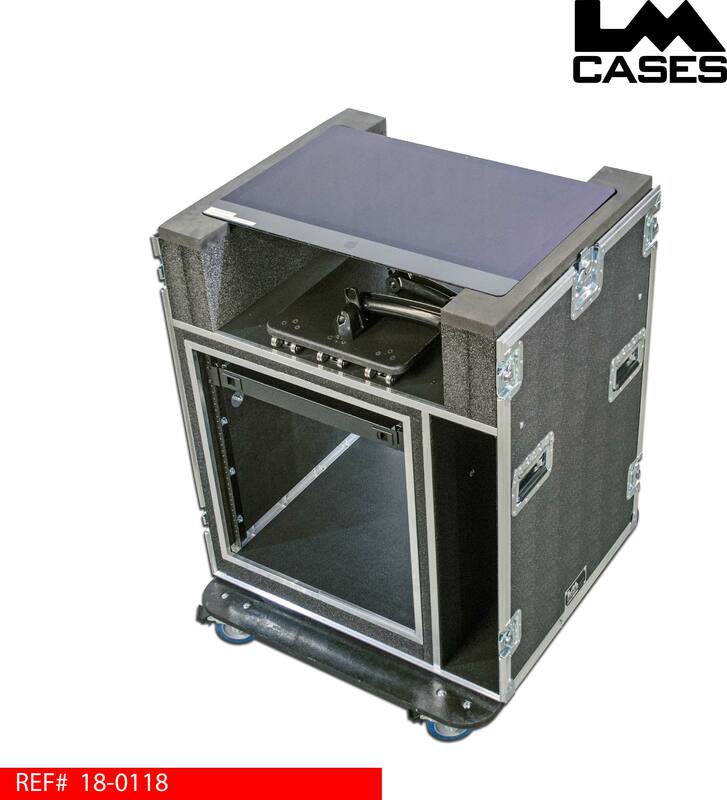 The computer is interfaced to the mount board via an articulating Chief mount that allows the computer to telescope away from the mount board and be moved to the right or left of the case. The computer is mounted to the Chief mount via an included Apple VESA mount adapter. 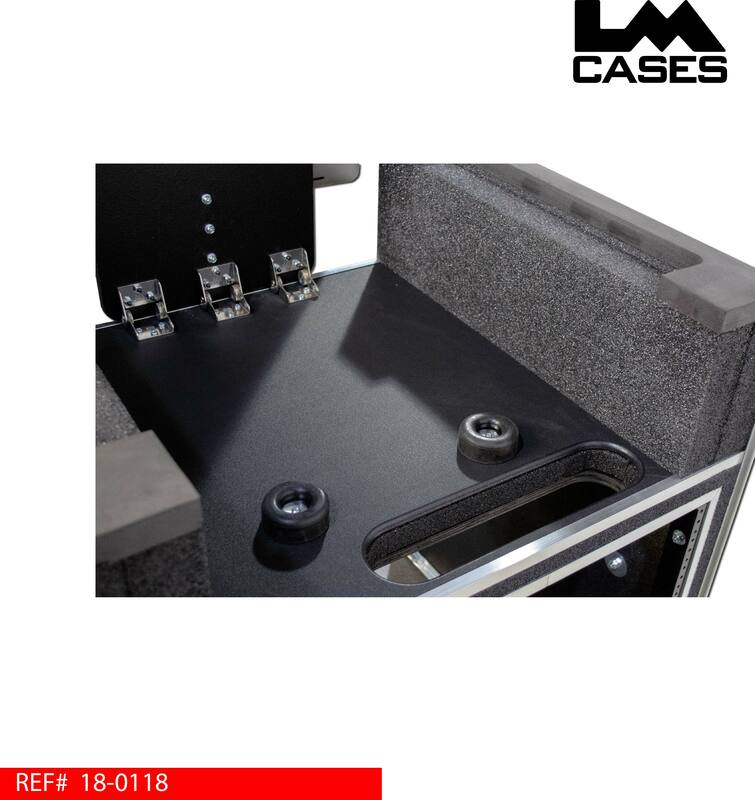 Below the computer is a shock mounted 12 space rack that includes front & rear pre-tapped 10/32” rack rail. The rack includes a 1RU slide out shelf for the computer’s keyboard. 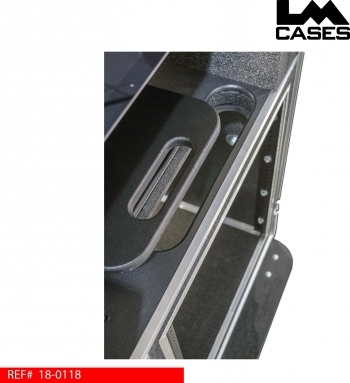 The case includes table legs mounted in one of the lids. 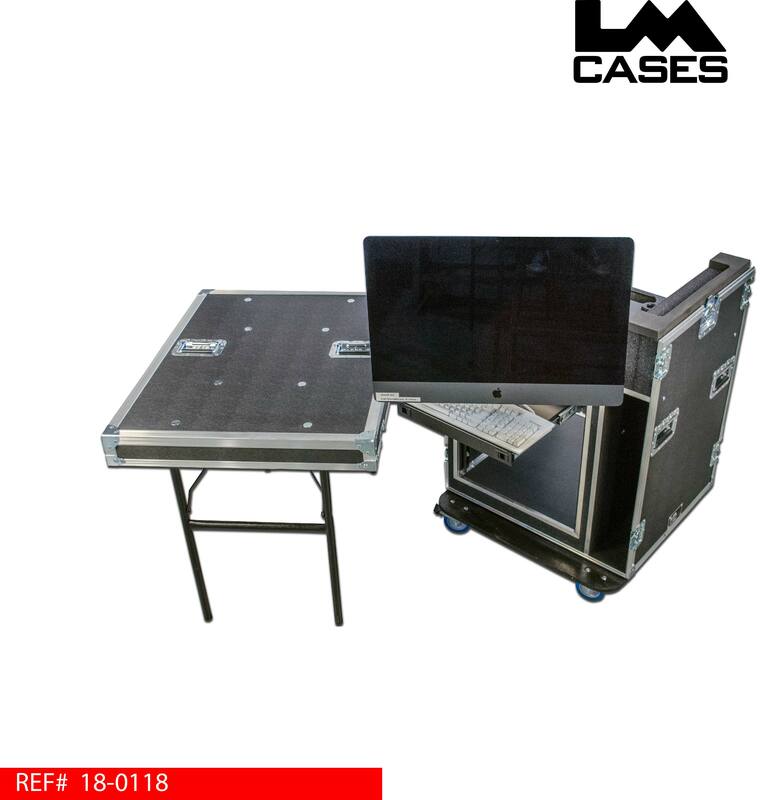 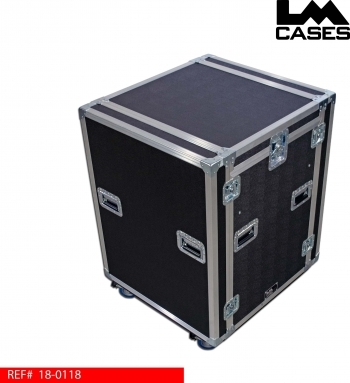 The case exterior includes 8 deep recessed handles and rides on 4” Colson casters mounted to a full ¾” plywood caster board. To puchase this case from our online store, CLICK HERE.